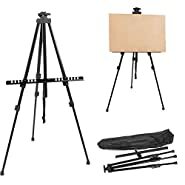 Nerdy Computers, Laptops and Tablets are reluctantly selling the excellent ZooVaa Micro-Adjustable Sit to Stand Standing Desk Converter Riser Stepless Design w/Anti Fatigue Standing Mat Bundle at a great price. 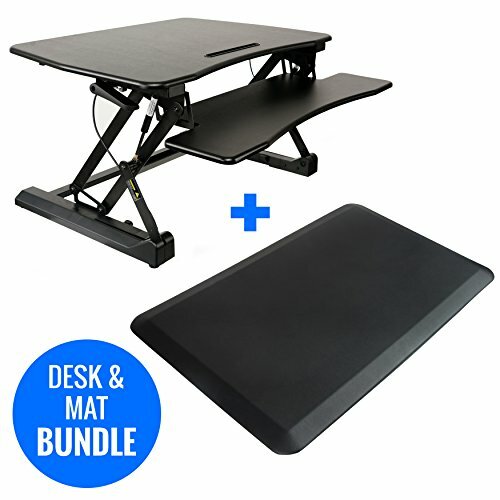 Don't lose out - purchase the ZooVaa Micro-Adjustable Sit to Stand Standing Desk Converter Riser Stepless Design w/Anti Fatigue Standing Mat Bundle online today! Zoovaa Adjustable Height Standing Desk Riser sits on top of your current desk and gives you the benefit of standing or sitting throughout those long work days. Switching between the two during the day provides several health benefits for the body such as increased blood flow, enhanced posture and it also helps burn more calories. 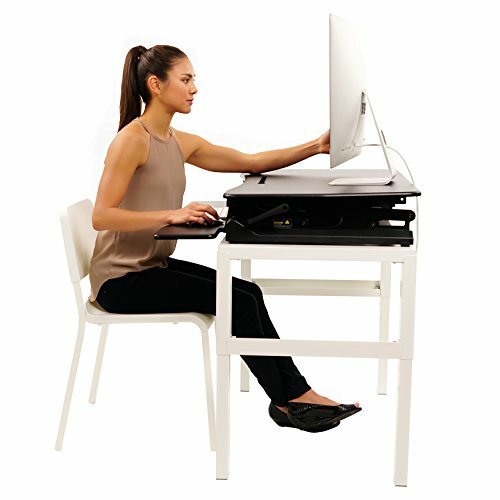 The top platform rests 6.7" from your desk's surface in sitting position and 19.7" when at maximum height. QUICK TRANSITION: Go from sitting to standing, just lightly press the two handle grips on each side simultaneously and raise or lower the desktop to the desired height. Adjust to your proper comfort level and be more productive yet maintaining a comfortable sitting and standing position (adjustable range 6.7" to 19.7"). Dual hydraulic compression chambers provide a smooth and safe transition. 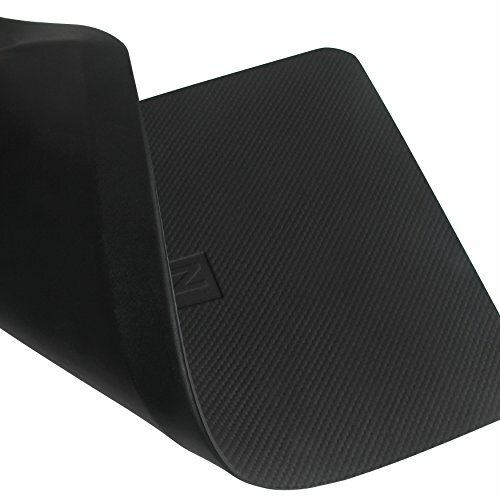 ELECTRONIC DEVICE HOLDER: Convenient slot securely holds a tablet or smartphone. Slot also comes with cable ready slits to organize cables and maintain a neat look! 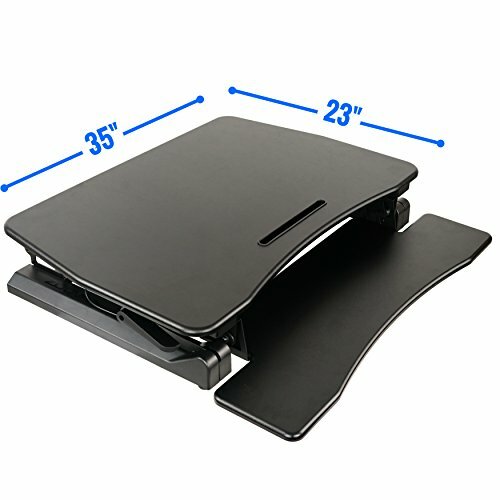 DOUBLE TIER: The lower deck keyboard tray holds key board and mouse side by side and raises in sync with the top surface creating a comfortable work space (7''x35''). Weight capacity for the entire desk is 33 lbs. SPACIOUS WORK AREA: The top surface measures 35" x 23" providing plenty of space for single monitor, dual monitor, and laptop plus computer monitor setups. Customize your work area and create the work space you need. CLEAN AND SLEEK: The frame comes in a black finish to blend in with any environment and maintain a low profile. Use the Cable Tie to organize cables, wires, and cords and avoid a tangled mess. 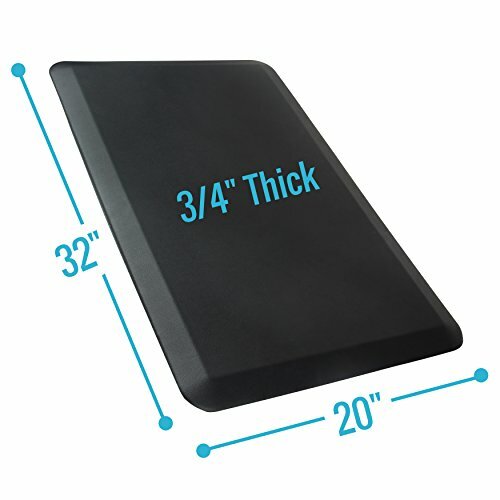 BUNDLE: 20" x 32" Anti-Fatigue Standing Floor Mat included. 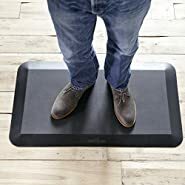 BUNDLE: Anti-Fatigue Standing Floor Mat included. QUICK TRANSITION: Go from sitting to standing, just lightly press the two handle grips on each side simultaneously and raise or lower the desktop to the desired height. Adjust to your proper comfort level and be more productive yet maintaining a comfortable sitting and standing position (adjustable range 6.7" to 19.7"). Dual hydraulic compression chambers provide a smooth and safe transition. 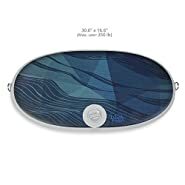 ELECTRONIC DEVICE HOLDER: Convenient slot securely holds a tablet or smartphone. Slot also comes with cable ready slits to organize cables and maintain a neat look! 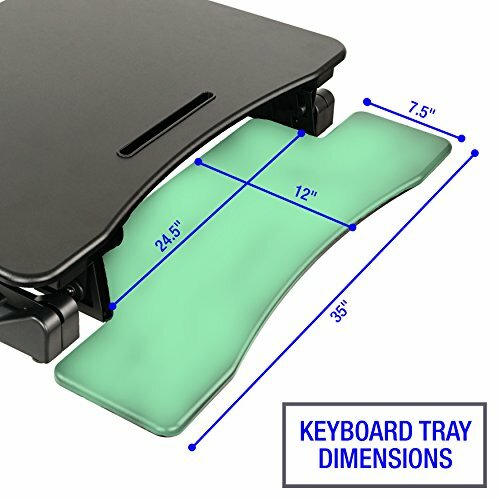 DOUBLE TIER: The lower deck keyboard tray holds key board and mouse side by side and raises in sync with the top surface creating a comfortable work space (7''x35''). Weight capacity for the entire desk is 33 lbs. SPACIOUS WORK AREA: The top surface measures 35" x 23" providing plenty of space for single monitor, dual monitor, and laptop plus computer monitor setups. Customize your work area and create the work space you need.